During the centuries in which Buddhism was establishing itself in the east of India, the older Brahmanism in the west was undergoing the changes which resulted in the Hinduism which is now the prevailing religion of India. The main ancient sources of information with regard to these Hindu beliefs and practises are the two great epics, the Ramayana and the Mahabharata. The former is a highly artificial production based on legend and ascribed to one man, Valmiki. The latter, a "huge conglomeration of stirring adventure, legend, myth, history, and superstition," is a composite production, begun probably as early as the fourth or fifth century before Christ, and completed by the end of the sixth century of our era. It represents many strata of religious belief. 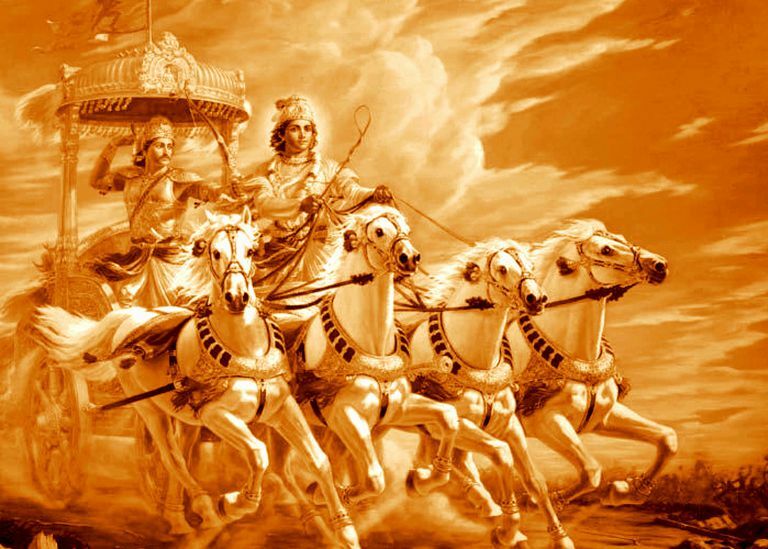 The Bhagavad-Gita," of which a translation is here given, occurs as an episode in the Mahabharata, and is regarded as one of the gems of Hindu literature. The poem is a dialogue between Prince Arjuna, the brother of King Yudhisthira, and Vishnu, the Supreme God, incarnated as Krishna, and wearing the disguise of a charioteer. The conversation takes place in a war-chariot, stationed between the armies of the Kauravas and Pandavas, who are about to engage in battle. To the Western reader much of the discussion seems childish and illogical; but these elements are mingled with passages of undeniable sublimity. Many of the more puzzling inconsistencies are due to interpolations by later re-writers. "It is," says Hopkins, "a medley of beliefs as to the relation of spirit and matter, and other secondary matters; it is uncertain in its tone in regard to the comparative efficacy of action and inaction, and in regard to the practical man's means of salvation; but it is at one with itself in its fundamental thesis, that all things are each a part of one Lord, that men and gods are but manifestations of the One Divine Spirit." In this chapter, the stage is set for the conversation between Lord Krishna & Arjuna in the battlefield of Kurukshetra in about c. 3102 B.C. In this chapter, Arjuna accepts the position of a disciple of Lord Krishna and requests him to instruct on how to dispel his grief. This chapter also summarizes the contents of the Gita. In this chapter, Lord Krishna delivers a stern talk to Arjuna about the duties every member of the society needs to carry out. In this chapter, Lord Krishna reveals how spiritual knowledge can be received and the paths of action and wisdom to be taken. In this chapter, Lord Krishna explains the concepts of action with detachment and renunciation in actions and how both are a means to the same goal of salvation. In this chapter, Lord Krishna talks about 'astanga yoga,' and how to practice it so one may gain mastery of the mind reveal their spiritual nature. 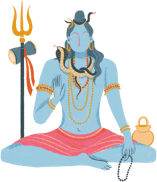 In this chapter, Lord Krishna tells us about the absolute reality, why it is difficult to overcome Maya and the four types of people that are attracted to and opposed to divinity. In this chapter, Lord Krishna explains the various ways of renouncing the material world, the destination to which each leads to and the rewards they receive. In this Chapter, Lord Krishna talks us how the our material existence is created, prevaded, maintained and destroyed by divine powers, the sovereign science and secret. In this Chapter, Lord Krishna reveals his manifestations as Arjuna prays to him to describe more of his 'opulences' and Krishna explains the most prominent ones. In this Chapter, Lord Krishna grants Arjuna's wish and reveal His universal form - thus showing him His entire existence. In this Chapter, Lord Krishna extols the glory of true devotion to God and explains the different forms of spiritual disciplines. In this Chapter, Lord Krishna shows us the difference between the physical body and the immortal soul - the transitory and the perishable vis-a-vis the immutable and the eternal. In this Chapter, Lord Krishna advises Arjuna to relinquish ignorance and passion and how everyone can adopt the path of pure goodness until they acquire the ability to transcend them. In this Chapter, Lord Krishna reveals the transcendental characteristics of the omnipotent, omniscient and omnipresent and explains the purpose and value of knowing and realizing God. In this Chapter, Lord Krishna explains in detail the divine properties, conduct and actions which are righteous in nature and conducive to divinity while delineating the evil and ill conducts. In this Chapter, Lord Krishna tells us about the three divisions of faith and how these different qualities determine that character of human beings and their consciousness in this world. In this Chapter, Lord Krsishna summarizes the takeaways from the previous chapters and describes the attainment of salvation by the paths of karma and jnana yoga as Arjuna learns to tell nectar from poison and returns to war. Do Some Hindu Scriptures Justify War?